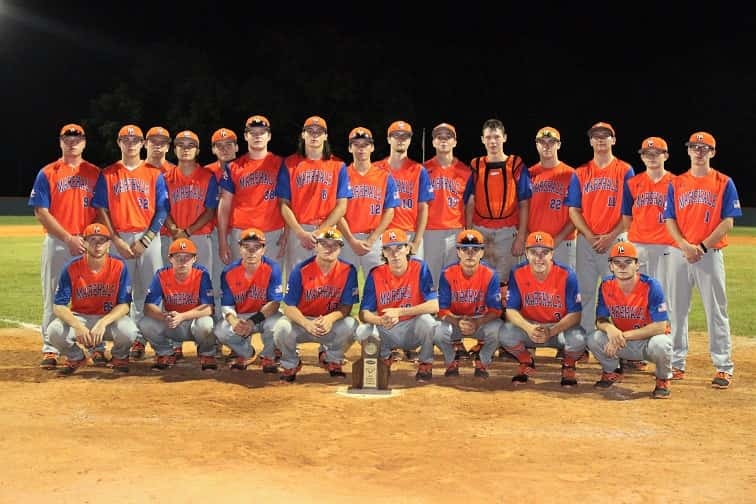 The Marshals shut-out Calloway County to win the 4th District title. They finished runner-up to Calloway County last season after winning the title in 2016 over Murray. 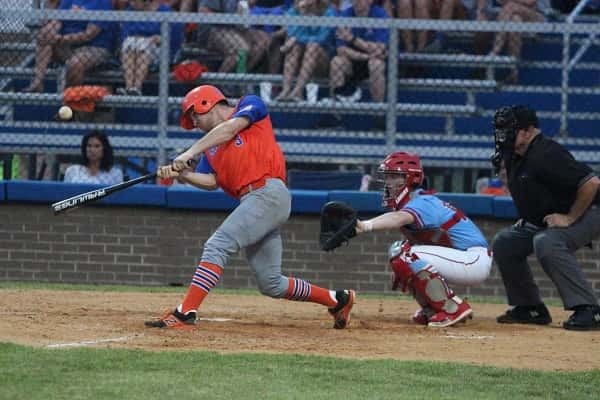 In his final at bat on the Marshall County field, senior Jackson Beal’s 2-run double that looked very much like a triple with the third run scoring on an error, gave the Marshals a 4-0 lead in the bottom of the sixth that held up to win the 4th District Championship over Calloway County. Austin Stockdale scoring the fourth run for the Marshals in their 3-run sixth inning. 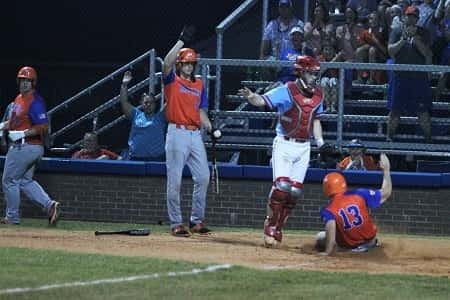 The Marshals defensive effort was there as well against the Lakers, getting out of the bottom of the second with bases loaded for Calloway County, turning a double play on a ground ball scooped up by short stop Cole Griggs to C.J. Johnson at second and over to Dawson Smothers at first. After scoring a run on an error to lead 1-0, the defense was put to the test again in the bottom of the fifth when an intentional walk to Lofton Pigg loaded the bases once more for the Lakers with two outs. Aaron Dawson’s fly ball to left field was caught by Ty Buchmeier to leave the three base runners stranded. 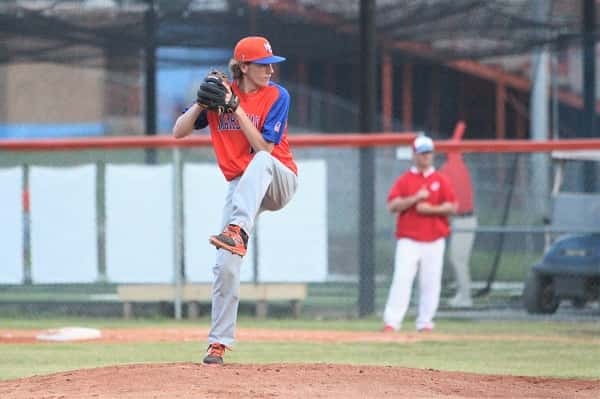 A walk by Tyler Belcher, Jordan Riley hit by a pitch and Austin Stockdale single loaded the bases for the Marshals in the bottom of the sixth before Beal’s fly ball to right field dropped near the wall to bring in two runs and an error bringing in the third for a 4-0 lead. After a very good six and two-thirds innings on the mound, Brock Anderson was relieved by Riley Harris who picked up the third out in the bottom of the sixth to leave two more stranded for the Lakers. With two outs and two on base in the bottom of the seventh, Stockdale stole a base hit from Carson Chapman when the right-fielder came up with the ball on a sprinting leap to end the game. “We played some pretty good defense. I thought on all cylinders we played pretty well…not great…but we played pretty well”, McDonald said, crediting the play of Griggs and his quick outfield and said of Stockdale’s terrific diving catch for the final out, ““If he doesn’t make that, things start looking different quickly”. Jackson Beal at the plate earlier in the game, connected for a bases loaded double in the sixth inning that turned into three runs for the Marshals. Brock Anderson earned the shut out win over Calloway County, pitching 5.2 innings, allowing three hits and struck out three.